If you are paying attention at all, you probably know that painted kitchen cabinetry is where it’s at – particularly white kitchen cabinetry. Wood finished cabinets date themselves quickly based on the undertone of the wood. Because I frequently stage homes for sale in the Nashville area, I can tell you that dark cherry cabinets are so 1994. 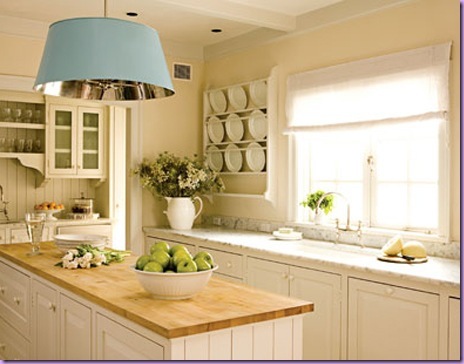 White cabinetry is timeless and works for all kinds of styles – country, european, contemporary, modern. 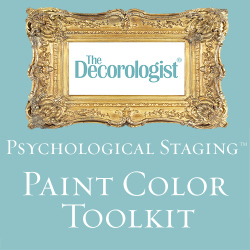 1) Bring in a signature color through wall paint. Wall color is easily changed when you or a new owner wants a different look. Not so easy to change out the cabinetry or trendy backsplash. 2) Make a statement with your island. 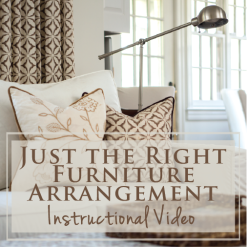 This is a great place to bring in texture, contrasting material, or an interesting color. Again, not as difficult to change when and if you tire of it. 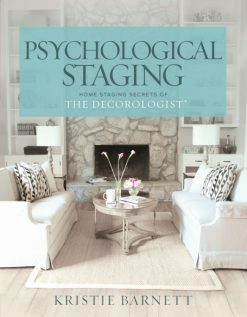 3) Let your lighting take center stage. 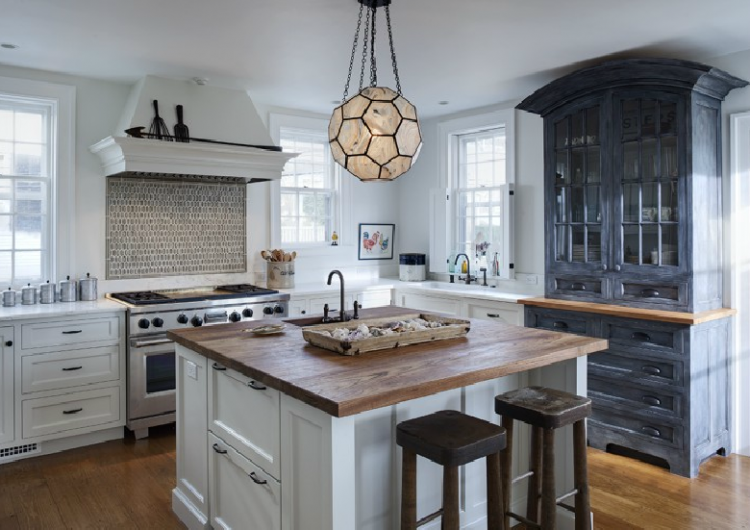 Make a bold choice in overhead lighting in the kitchen. 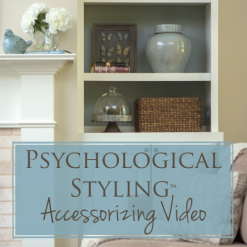 This is a great way to showcase your personality without making a “permanent” statement. 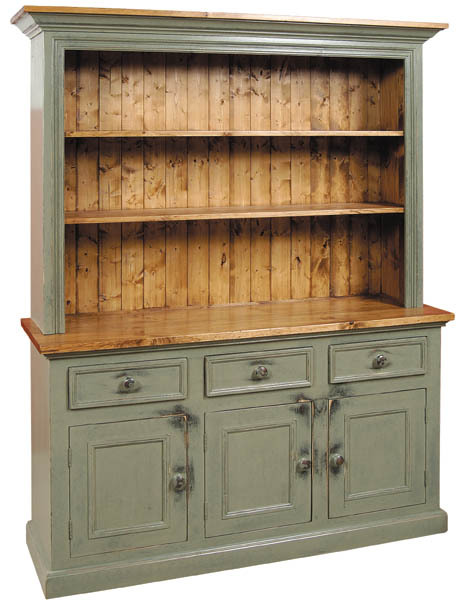 4) Add personality with a free-standing piece of furniture, like a hutch or a breakfast table. 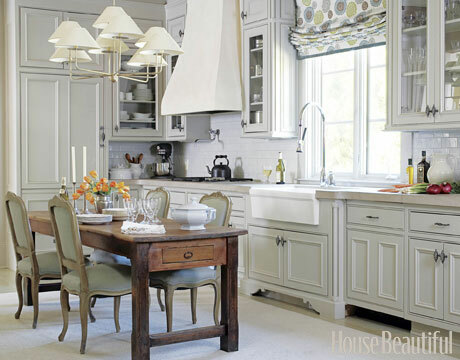 The most timeless and interesting kitchens are those with more than just built-in cabinetry. 5) Add color inside your cabinets or in the back of a hutch. Or add your color through accessories and wall art. Kichler lighting can be added to accentuate the art. 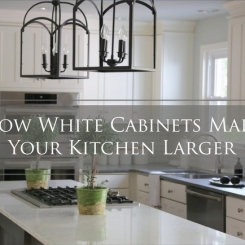 So can you see why white kitchen cabinets are the right choice for your kitchen? 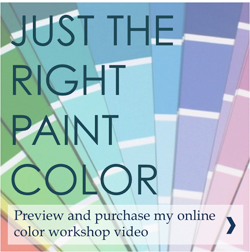 If you want to learn more about how to use color in your home, check out my instructional videos here. This entry was posted in My Decorology, Popular Posts and tagged color consultation, color expert, decorologist, design help, interior design, kitchen, kitchen color, kitchen design, kitchen hutch, kitchen island, kitchens, trendy backsplash, wall color, white cabinetry, white cabinets, white kitchen. As a blogger when you take a stand with your aesthetic one way or another, you also set yourself up as an expert in that area. The planet beats a path to my door for consults because I say that white kitchens are the be all and the end all, so Donna, you love wood stained kitchens, be the guru on them and what goes with each colour stain and if people aren’t already beating a path to your door, they will. Thanks for sharing your opinion, Maria! Maria, It’s not that I love stained cabinets it’s that I’m more concerned with the white kitchens matching and coordinating with the rest of the home. I’m more concerned with overall design rather than just the color of a cabinet. Why isn’t anyone getting this? oooh, that dang granite – another topic for a blogpost! White and off-white kitchens are gorgeous. If I was in a cottage style house that’s definitely what I would want. But I do think it depends on the house and the location of the house or dwelling. Some contemporary styles just don’t work with white cabinets. I like both white and dark cabinets, depending on the type of house and the rest of the decor in the house. I have cherry cabinets and HATE them. The cherry has turned orange and even though the house was built in 2000 I absolutely can’t stand them. Painting the cabinets white is one of the first home improvements we will be making in 2012…right after we purchase a new stove which chose yesterday (Thanksgiving) as the day to break down. I’m with you and Maria 100% on this one Kristie! I hope the stove breaking down didn’t ruin Thanksgiving dinner! Thank you for your comment. What color stove did you get? What color fridge? I hear you on the cherry cabinets – if we owned this home we would be painting them out! 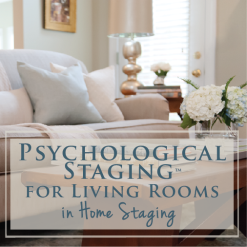 And I think for me I’d be heading down a blend of white and gray lane… but instead I decorate around them with things like fab bar stools 😉 Great post! Actually, Maureen has a really good point. No kitchen is timeless. The Realtor I work with for Staging says “any kitchen 10 years or older is seem as dated to a buyer”. It really doesn’t matter what you do as long as you love it. Ok Ashley, try again. I think I’ve got it fixed! I love the look of white kitchen cabinets but as Maureen posted, it’s tough keeping white cabinets clean. I have a dog and I think I’d probably have to wipe down or repaint areas of the lower cabinets. Kristie, what are your thoughts on painting the lower cabinets a darker color and keep the upper cabinets white? Maybe you’ll do a blog posting on this trend? Please. Greetings! 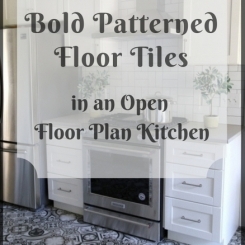 Fantastic options for personalizing a white kitchen! It’s all about options and not being stuck with an expensive trend! My dear brother just remodeled his kitchen and his designer chose three different wood finishes…none of them white of course and olive green tiles from counter to ceiling! It looks great now, but what will we say 10 or 15 years from now? Love love love! I am going white in my kitchen! I also think white cabinets instantly update a kitchen. I live in a rental with a kitchen without any bells and whistles! But I am so glad the homeowner painted the cabinetry white, which gave me a nice blank slate to add my own style to. I really think white gives you that option! Love your design sense!!! Hi there – I am faced with a dilema about our outdated blonde oak cabinets. So desperately want to paint them white but our floor, countertops and black splash are all very light tones of brown. 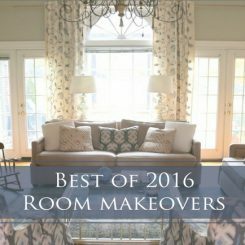 Have been thinking we might be better of with Bittersweet chocolate by benjamin moore instead. Just to complement the tile back splash and countertops mainly. Will the white work with these nondescript colours. Love your blog! I love Bittersweet Chocolate – it’s the color of the exterior trim of my house. It’s very dark, though, and will darken up your kitchen substantially. I think I’d go white/off-white if I were you, but if you don’t mind them “reading” as expresso wood cabinets, I’m sure it’ll be fine – go to Pinterest and search dark kitchen cabinets and see what you can find to better help you visualize. Good luck! I love your blog! What are your thoughts on off-white kitchens cabinets? I have Santa Cecilia granite and oil rubbed bronze fixtures in my kitchen but light cherry cabinets (YUCK!). I think off-white would blend better than stark white but I’m scared to make a decision. I would love to hear your opinion on a off white or antiqued white finish. When I say “white” kitchen, I mean any range of “white” which definitely includes off-whites. Look for a shade of white that relates to your granite, if possible. Good luck and thanks for reading! 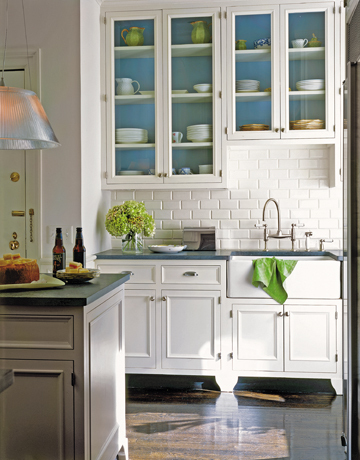 What is your opinion on colored subway tile backsplashes with white cabinet kitchens? I just bought a house and would love to update it with white cabinets. I’m just not sure about the backsplash which would be more timeless – white subway tile or a green glass subway tile? I’m concerned the white tile will be too much white but I wonder if I’ll tire of the colored tile quickly. Thanks in advance for your thoughts! Love your blog!! Thanks Krisitie, I was leaning in the direction of the white subway tiles and your response confirmed it! Where can I get my cabinet doors professionally spray painted in the Nashville area? I am a student majoring in residental design and I Love love love your site. I am so glad I found it. I will be taking kitchen design this semester. Thanks so much for the info. Can’t wait to share with my class mates. I see you’re in Memphis? I’m Nashville-based, so not too far from where you are studying. Good luck and thanks for reading! Please, please help us choose kitchen cabinets color/finish. Our log house is medium to dark stained logs..kitchen walls are either stained log or sheet rock and there's one natrual brick wall. Wood trim around windows and doors is stained same as logs. We have two big stained beams in ceiling. Can we do white cabinets or other painted color with stained wood windows and doors? Our floor is large ceramic tiles in a soft offwhite/ creamy / beigey multi sponged effect. Any suggestion is deeply appreciated!!! We are tearing out cabinets due to a water leak and need to replace this week! Great web site you have got here.. It’s hard to find quality writing like yours nowadays. I really appreciate people like you! Take care!! What is you have oak trim througout your house? I'm wanting to paint my oak cabinets white, update our appliance, backsplash and counter trops and also update our fireplace by refacing it and possibly chaning the oak mantle to white (this room opens up to the kitchen.) Is it okay to do this if all of our doors, trim etc. is oak? Lots of great comments here! We are moving to a new home and do want a white kitchen. The designer has suggested we go with MDF for our white kitchen rather than wood and painting. What are your thoughts? I’ve always associated MDR with ‘cheap’ but our designer has told us it’s common now in high end kitchens. No, I would NOT do that. They swell if they ever get wet. I have a white kitchen and I HATE it. White kitchens only look good if you don’t use them and are able to keep them in absolute pristine condition. The kitchen is the only room in the house which us predominately white. The best cabinets I’ve had were cherry and they were so pretty. When we moved from that house the only thing I hated to leave was the kitchen. Is it Ok to remodel with off white cabinets and keep the stained woodwork and doors? Painted all the stained woodwork would be my choice but my husband does not agree. 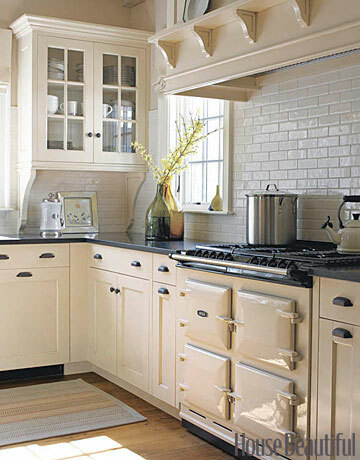 I’m with you, but white cabinets and wood trim/doors are better than all wood cabinets and wood trim/doors. Iron finish, almost black. It may be referred to as oil-rubbed bronze by some manufacturers, but oil-rubbed bronze is often more brownish-coppery. This post make a great stand to justify white kitchen cabinets. And I’m inclined to agree. Although my inclination is purely based on my preference for white background. 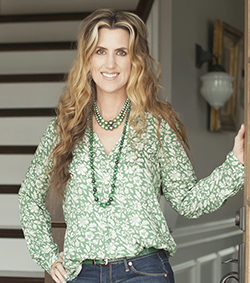 I have not heard of that – I’d go and talk to a paint professional – it may be that certain kinds of paint would be a better option. Hi, we are in the process of painting our kitchen cupboards and would like to know what color are the cabinets in first picture ? This is the picture of the cream cabinets white subway tiles and black counter. Thanks for the great site! My realtor advised me not to do white cabinets. Kristie, does off white work as well as white as far as being a classic? I have a friend who can get me a great buy on some ivory colored cabinets and I think they would fit well in my home. But they are almost the color of my bisque appliances (pale ivory) and I just wonder if they will work as well as white white as far as being a classic look? Here is a pic of the cabinets Kristie. I am putting it in a separate email so you dont have to post a link to the company. My friend works here so we can get a deal. I think the white white is to modern for our home. The ivory is a little paler than what it appears in the picture. Do you think it would be a good classic? Off-white will work well, but only if your trim molding is the same color (off-white). If you do white trim, your cabinets will read dirty, or at least more of a color like butter yellow (or whatever the undertone of the off-white is). Good luck with your kitchen! Thanks for your answer Kristie. And for the huge tip on the trim! What color appliances would you put with the off white cabinets? For trim I was thinking of Dove White by BM. So you feel the off white can be as classic as white white? I am thinking of this for resale also and Would hate to make such an expensive mistake…. Oops, I apologize!!! I meant to write Kristie. I’m so VERY sorry!!!!! I want to install white kitchen cabinets in my new kitchen. My husband doesn’t want them but will go with whatever I want since I am the cook and chief kitchen person. Folks keep saying white is too hard to keep clean. Help! I want to make a good choice. My kids are grown, no inside pets. My current house has medium cherry which I love here but want something new at our lake house. I can tell you, honestly, there is NOTHING difficult about keeping white cabinets clean. I just wipe them down with a warm wet cloth on occasion. Just because you can’t SEE the dirty on dark wood cabinets, doesn’t mean it’s not there. Without kids and pets – really, really no problem. Hope that helps give you the confidence you need! Hi Kristie. We, too, have medium-dark stained bannister, 6-panel doors and fireplace in open great room/hearth room & debating on new cabinetry to replace current medium-dark oak cabinetry. Our wall color is currently (and will remain) an off-white, so I am thinking I can get by with off-white kitchen cabinets. Do you agree? Like some others have mentioned, I’m concnrned about slapping an off-white kitchen in the middle of a room with a lot of stained trim, etc. I want to install white modern kitchen cabinets in my new kitchen. The floor is light off white. What do you think ? I want a very modern style. The floor may look a bit dingy/dirty in comparison to the white cabinets. You could either choose an off-white that matches the floor or perhaps paint your bottom cabinets a different color to the upper white ones. That way you get some visual separation between the upper white cabinets and the floor. Maybe a warm gray on the bottom cabinets? If you need to go with a whiter white for the cabinets, take a look at Chantilly Lace. Otherwise, I’d try to find a backsplash that will be similar in whiteness to Cloud White. Good luck! Great advice and lovely examples you have used. 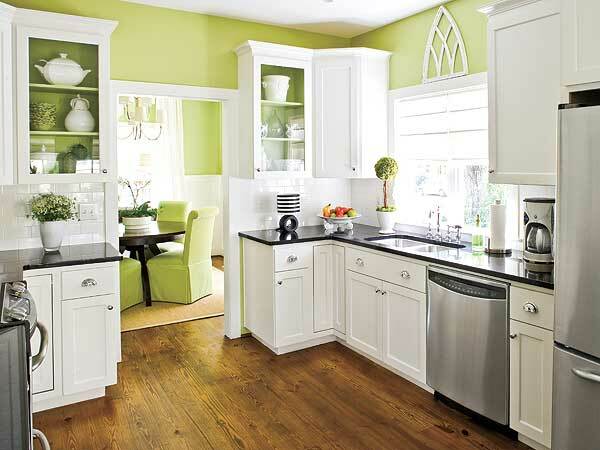 Personally I love white with a feature colour as in the white and lime green kitchen you have used in the post. It really adds a spark of modernism and personality. Mark. I am putting in a white kitchen and am going to have white appliances (stainless handles). Am trying to pick the white paint for the custom cabinets given the bright white appliances. Any suggestions? Thanks. I love the idea for white cabinets. I even planned to paint my own in white. I think that the picture with the white cabinets and the green walls is my favorite. Thanks a lot for sharing all of these designs. You helped me a lot to choose the right color for my cabinets!